A Private Pilot certificate enables you to fly passengers but not for hire and is the first step in joining an elite few who have mastered the skills needed to take a complex machine into the skies. It is also the beginning in working towards a flying career. Learning to fly is not difficult but does require dedication and time to learn this new skill. 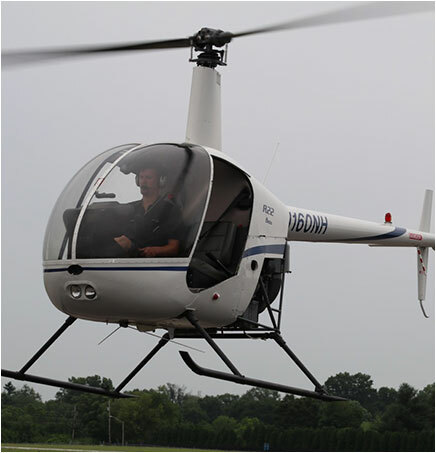 With one of our experienced instructors along with a structured syllabus, we can train anyone to fly. We will meet with the student and discuss the best course of action by tailoring your training to accommodate your busy schedule and ability. The FAA requires specific minimums in order to obtain your license, however the national average is between 60 and 70 hours. We understand that everyone learns differently and with our experience, we will train according to a proven syllabus that will make you a proficient and safe pilot but at the most efficient rate for the student to learn. The amount of time it takes to become a private pilot depends on the students’ dedication, background and availability. – 3 stops and one leg over 25 miles. Once this training is completed, you will then take a “check ride” with an FAA Designated Pilot Examiner. This will consist of an oral exam and a flight test where you will demonstrate your proficiency in the helicopter based on written test standards. This course is intended for those serious about learning to fly and want to get it done fast and efficiently. This course will take you from zero flight time to a private pilot certificate using scenario based training to make it safe, efficient, and enjoyable.